When did rock architecture start appearing in history? The ritual of Rock architecture occupies a predominantly significant place in the history of Architecture. 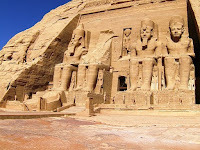 Several individuals date the first appearance of these structures to 1280 BCE, in the form of The Temple of Ramses, known as Abu Simbel, located along the Nile in Nubia. The temple is comprised of a mammoth scaled portico carved out of the cliff with interior chambers forming its asylum. It’s an incredible feat of engineering, but it’s certainly not the first. 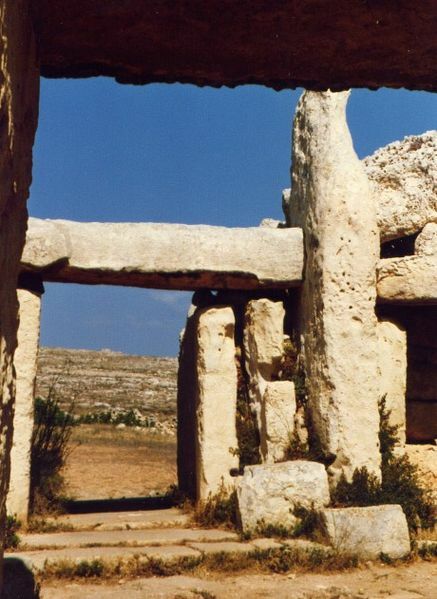 Several prehistoric temples have been found in Malta and Sardinia, many in fact, predating Stonehenge and the Pyramids of Giza. Around the 4th millennium BC, a megalithic temple complex found on the southern coast of the Mediterranean island of Malta appeared. Mnajdra is approximately 500 metres from the Ħaġar Qim megalithic complex. 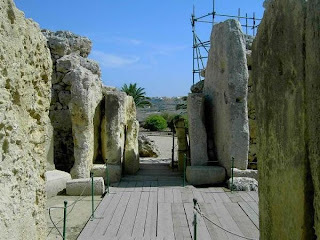 Dating between 3600 and 2500 BCE, we see the Ggantija Temple appear in Malta, the Hypogeum (the only prehistoric underground temple in the world), and Xagħra Stone Circle in Malta. 3600-2500 BC-Ggantija Temple appears in Malta. 4th century millennium BC -Mnajdra in Malta appeared. 3600–3000 BC—Construction of the Ta' Ħaġrat and Kordin III temples in Malta. 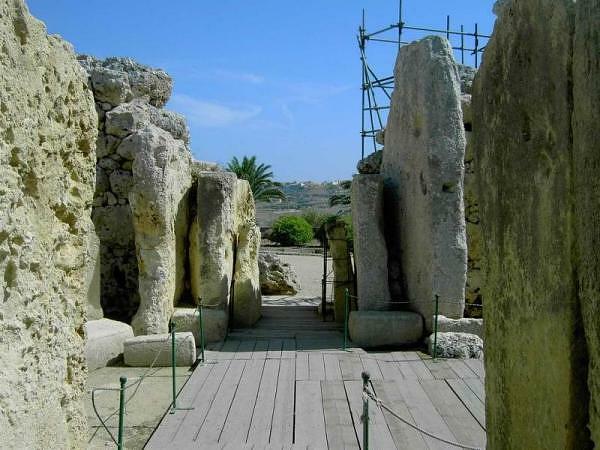 3250–3000 BC—Construction of three megalithic temples at Tarxien, Malta. 3200–2500 BC—Construction of the Ħaġar Qim megalithic temple complex on Malta, featuring both solar and lunar alignments. 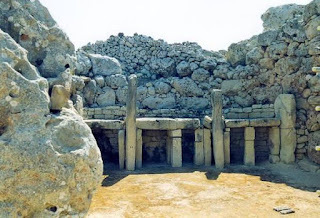 3000-2500 BC-Hypogeum appears in Malta. 100BC-200AD- Al Khazneh was originally built. The Treasury in Jordan. 3rd and 2nd Century -Rock cut architecture, the Barabar Caves, appeared in India between the 3rd and 2nd century and were the earliest instances of Indian rock-cut architecture. 1st-5th century- Emergence of extensive rock-cut buildings, including houses and churches in Cappadocia, Turkey. 5th-6th century-Lycian Tombs in Anatolia (now Turkey). The Longmen Grottoes, the Mogao Caves and the Yungang Grottoes appear in China. 7th century-The appearance of Hindu temples such as Ajanta and Pataleshwar. Naqsh-e Rostam rock cut tombs and reliefs. 8th century-First rock cut architecture appears in Israel. 12th-13th century- Rock-cut architecture in Lalibela, Ethiopia including 13 churches. These structures represent the last of the rock cut architectural form. Why were the temples or tombs built in the sides of mountains? I asked the same question, but here’s what I believe. Depending upon the geographical location, the materials used to construct the rock architecture is what builders had available. There weren’t metal works or bricks being made in some areas. Mountains were simply an easy palate in which to build upon, or through. Mountainside carved temples were also safe houses, allowing socially advanced, yet segregated tribal units, to protect themselves from other neighboring peoples. Why do you think these structures were carved into the mountains? How were these rock cut structures built? The initial structures were typically carved out by starting at the top to construct a crown and then working downward, for the apparent reason stones would not be falling on one's head. Stones would slowly be moved out of the structure, while stone masons chipped away, creating massive archways, altars, columns, and facades. The Ggantija Temple in Malta dates to 3600 BC, making it the oldest free standing stone monument in the world. Ggantija is situated on the island of Gozo, set atop a hill 420 feet above sea level. There are two temples nested within a boundary wall, both similar in design with an entrance passage leading to ovalesque chambers to the left and right, then to three further chambers all connected. Archaeologists believe the apses, which have evidence of stone corbelling, once held masonry domes for roofing. The southeast temple, which is the best preserved and much older, has an enormous threshold. On top of the threshold sits a basin and libation hole, suggesting purification took place before entrance to the temple. Bones of animals were found on altars inside Ggantija suggesting animal sacrifice took place. In 1827, two carved heads and a snake relief were found inside as well. The only artifact missing, and this does seem odd, are the female figurines. Malta is famed for its abundance of female sculptures, however no artifacts even came close to resembling them at Ggantija. Like Stonehenge, Ggantija’s building blocks are highly impressive, weighing in at 50 tons each and 16 feet long. Archaeologists speculated over how the blocks were moved, but when small stone balls were found in great quantity, the mystery was solved. For now. Although the oldest stone structure in the world, Ggantija is even more mysterious because of its inhabitants. The people of Ggantija were “settled farmers with a sophisticated social structure and highly developed ritualized belief system.” Of course, you can’t forget, the name Ggantija in Maltese means “belonging to giants”. Do you think this was the home of ancient giants? The Abu Simbel temples were originally built out of the mountainside for Ramses II and his queen Nefertari during the 13th century BC. The Abu Simbel temples were built to commemorate Ramses alleged victory at the Battle of Kadesh, and to intimidate his Nubian neighbors. However, the complex was relocated in its entirety in the 1960s, on an artificial hill made from a domed structure, high above the Aswan High Dam reservoir. Gobekli Tepe dates to about 11,500 years ago and is the oldest human-made place of worship yet discovered. 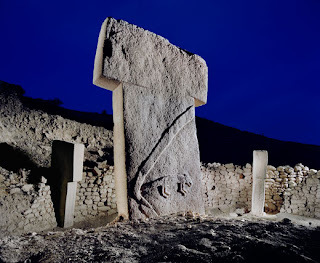 Located in Urfa, Southern Turkey, and close to the border of Syria, Gobekli Tepe is said to be the brain child by the last hunter gathers prior to the conversion to agriculture. What’s fascinating about Gobekli Tepe is the structure was deliberately buried in 8000 BC. Why? We’re not sure. What we do know is a complex of this magnitude was never thought possible of a civilization so ancient. DNA analysis has brought about an interesting hypothesis, possibly linking Gobekli Tepe to the first ever wheat farmers. Modern wheat compared with wild wheat has shown the DNA is closest in structure to wild wheat found in a mountain (Karacadağ) 20 miles away from the site. This leads one to believe Gobekli Tepe was the first site of modern wheat domestication. One of the main reasons I started to become fascinated with rock cut architecture and archaeology was because of Petra. The first time I saw Petra was in the Indian Jones movie.Yes I know. How original! Ever since then, the architecture of stone cut structures have amazed me. The rose colored columns. The intricacies of the carvings.